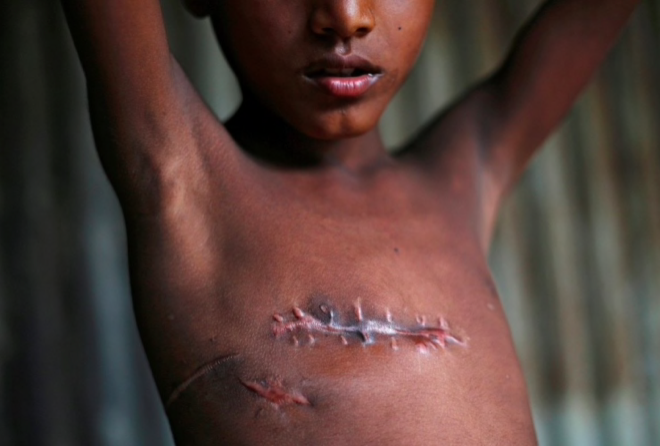 COX’S BAZAR, Bangladesh — They may be out of harm’s way, for now, but their ordeal continues. Over the past two months, more than 600,000 Rohingya refugees have crossed the border from Burma, also known as Myanmar, to seek shelter in Bangladesh. Not since the Rwandan genocide has a humanitarian crisis unfolded so fast and on such a scale. If one counts the hundreds of thousands who were already based here, driven out by earlier waves of violence in Rakhine state, there are now more than a million Rohingya refugees in Bangladesh. Now, the mood is slowly giving way to anxiety. Bangladeshis are keenly aware that the humanitarian crisis has enhanced their prestige abroad, but there are worries about how their poor, densely populated country will cope. With an eye on next year’s elections, which are clouded by fears about how the religious right might exploit the crisis, ministers routinely grumble about the insupportable burden they are forced to carry. There is no sign that the refugees will be able to return to their homes anytime soon, and there is no plan to provide for their long-term needs. As far as Burma’s generals see it, they have successfully executed a plan to finally rid themselves of the Rohingya. Stripped of their citizenship, denied recognition as an ethnic group, the Rohingya have long been subject to an entrenched system of discrimination. The heart-rending testimonies of the past two months bear a chilling consistency with reports from the late 1970s, when 200,000 Rohingya were also driven out of their villages amid a frenzy of violence. Back then, many Bangladeshis found it easy to sympathize with the plight of the Rohingya. The memories of 1971, when the Pakistan army carried out large-scale human rights violations and drove millions of refugees into India, were still fresh. But that didn’t stop the government from trying to force them back. “We are not going to make the refugees so comfortable that they won’t go back to Burma,” a minister said at the time. Within the space of six months, 10,000 refugees had died in the camps of hunger. The desire to see the refugees return to Burma appears to dominate the current Bangladeshi government’s thinking. It has refused to grant the Rohingya refugee status, leaving them without any legal status on either side of the border. That decision may seem trivial, but it’s of fateful significance, since it prevents international humanitarian aid agencies from mobilizing the kind of support needed. Also against the wishes of the humanitarian community, the government is constructing what may become the world’s largest refugee camp. The Kutupalong refugee camp, assigned to Rohingya refugees who fled here during the early 1990s, has now been extended in every direction. Scattered across 3,000 acres of previously forested land, it will become home to more than a million people. Plans are underway to coax earlier arrivals of Rohingya refugees out of the makeshift dwellings and onto the rambling hills where they have been assigned shelter. There is no direct access by road; supplies have to be delivered by foot. The weather is oppressive. The searing heat is only interrupted by monsoon rain or severe gusts of wind. The thought of the camp’s fate during the coming cyclone season fills the humanitarian community with dread, as do other looming hazards. A fire in a tent, or the outbreak of disease, will sweep across the camp with a fury that will be difficult to tame. Doctors Without Borders has described health conditions in the camp as a “time bomb.” The government is still toying with the reckless idea of moving the Rohingya refugees offshore, to a pair of uninhabited and uninhabitable silt islands that have barely emerged into view. Meanwhile, criminal gangs, human traffickers, armed groups and others who sense opportunity in misery are a constant menace. Every refugee I spoke to said they wanted to go home — but not before “shanti,” or peace, returns. It will not be enough for the violence to stop. The cruel, entrenched system of discrimination and segregation that made them so vulnerable in the first place has to be dismantled. The Rohingya cannot be left living in fear of a fresh wave of violence that will drive them across the border yet again, condemned to their tragic status as a perpetually unwanted people. For that to happen, Burma’s military must be held accountable and Bangladesh’s government must be helped with its burden. This is not a crisis that will disappear any time soon, and unless there is a determined global response over the long-term, it could become worse still. The plight of the Rohingya is a test — a moment that demands the international community demonstrate that the words “never again” still carry some meaning.